KATOWICE, Poland, Dec 14 2018 (IPS) - As the United Nations climate conference nears an end, all eyes are on the negotiators who have been working day and night for the past two weeks to come up with a Rulebook for implementation of the Paris Agreement. However, according to the World Food Programme (WFP), climate change is also a humanitarian issue. According to the humanitarian organisation, natural disasters such as droughts, storms and floods, have doubled since the 1990s. “So nowadays there are so many people who require food assistance and other humanitarian aid after disasters than it was a few decades ago,” Gernot Laganda, Chief of the Climate and Disaster Risk Reduction Programmes at WFP, tells IPS at the sidelines of the 24th Conference of the Parties to the United Nations Framework Convention on Climate Change (COP24) in Kotowice, Poland. “We are also concerned because with humanitarian aid, we cannot run fast enough as the problem of hunger in the world is running away from us,” Laganda says. According to the State of Food Security and Nutrition in the World 2018, the number of hungry people increased to over 820 million in 2017 from approximately 804 million in 2016. And Laganda says the ‘trend is on the rise”. Inter Press Service (IPS): How is climate change impacting on food security? Gernot Laganda (GL): Climate change affects food security in two principle ways. First, there is the whole question around agriculture from production of crops, to the storage to the transport to the market. Climate change can affect each of these stages. The other one is about extreme events that keep throwing people back into poverty. Each year, 28 million people fall back into poverty because of extreme weather events. That means no matter how much development progress we are making to achieve zero hunger by 2030, every year we slide back, and that is a concern. IPS: Will women’s ownership of land be of good value especially for climate adaptation? GL: Having ownership of land certainly increases sustainability of agriculture production because people look after their land. In many cases, development projects fail also because land ownership and who has the right to use the land for how long has not been considered. So it is a big factor in development. Of course when you mention the issue of ownership of land, then the whole issue of gender comes in, in various ways. On one side, there is a discussion about women being vulnerable in general. But we see it in slightly a different way. We see it as women being agents of change in many countries and in many communities, so when you want to invest in a sustainable manner, it is a very good idea to have women saving groups. They have very good experiences in building risk reserves. And whenever there are little problems for example when the rains come late, it becomes very efficient to go through such crises. But when it comes to catastrophic shocks, we look more at insurance based models. IPS: Do you see this COP solving some of the climate problems in relation to food security? GL: This COP is primarily about implementing the Paris agreement and maintaining the global average of temperature increases well below two degrees Celsius. I think in all the discussions about temperature ranges we tend to forget that many countries, especially in Africa, are already experiencing two degrees Celsius of temperature increase. So the reality in these countries look like what we are still discussing here. Indeed, many African countries already live the future that we are collectively still trying to avoid. IPS: How has climate change contributed in terms of displacing families? GL: Statistics from the last 10 years tell us that on average 22 million people are driven from their homes every year because of climate extremes. Migration is actually a traditional adaptation mechanism because people move to other places in search of greener pastures, job opportunities and so on. But we are talking about forced displacement due to climate related disasters. Climate related events can also aggravate conflicts at local levels between farmers and herders for example, or it can still happen between countries especially where we have large international river basins. IPS: What does the latest Intergovernmental Panel on Climate Change (IPCC) report mean to Africa in terms of food security? GL: All countries are affected by climate change but agrarian countries feel it the most. In Africa, many countries have a huge percentage of their GDP coming from agriculture. That makes such economies very vulnerable because agriculture is about climate sensitive resources such as water, crops, fish-stock, livestock among others. All poor countries that heavily depend on natural resources are the most impacted. 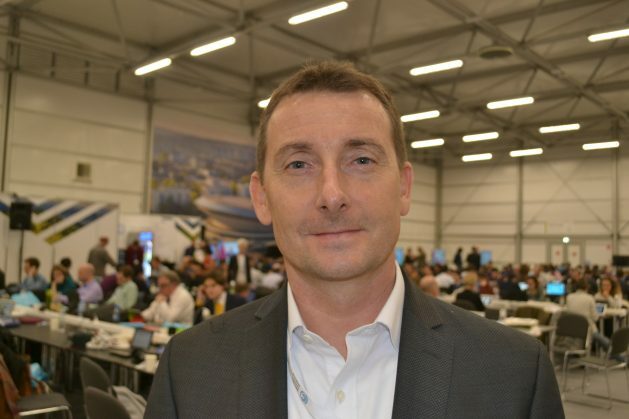 IPS: What are your expectations for COP24? GL: Everybody’s expectation is that we will have a Rulebook by the end of the COP. But there is also a recognition that this is not an easy task because for one it is difficult enough to agree on what we want to do. But [the Rulebook] is about how we are going to hold ourselves accountable. In the Rulebook, I expect to see a regime by which countries can track and report on the degrees of their progress against their self set targets or Nationally Determined Contributions (NDCs).